The Weaver Foundation was formed in 1967 as a private family foundation. The mission of the Weaver Foundation is to help the Greater Greensboro community enhance and improve the quality of life and economic environment of its citizens while developing a sense of philanthropy, civic education and commitment in current and future generations of the founders' family. In 1939, Greensboro native Herman Weaver started the first Weaver company at the age of twenty-five. It was then that he and his wife Edith founded the W. H. Weaver Construction Company, which specialized in residential construction. In 1946, the post World War II building boom reached Greensboro and Weaver founded Weaver Realty Company, a real estate management and mortgage banking firm. In the early 1950s, Weaver Construction Company diversified into commercial and industrial construction and by the 1960s, the companies had grown and expanded with operations in six southeastern states. After college and law school, the Weavers’ only son, H. Michael (Mike) Weaver, joined the family businesses in the fall of 1961 and the Weavers began expanding into real estate development, investment, brokerage, and syndication. Today, the primary company is the Weaver Investment Company, which directly invests in real estate and a variety of other business ventures. Weaver Investment Company also functions as a family office, managing the equity and fixed income portfolios for Weaver family members and providing a variety of support services. 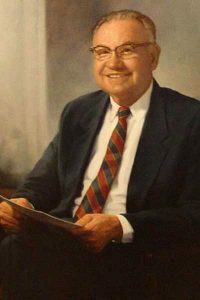 From the beginning, Herman Weaver was active in community affairs, demonstrating a commitment to involvement that was quickly emulated by his son. 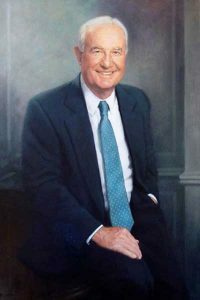 Herman Weaver served on a number of boards including the Community Chest (now the United Way), the Hayes-Taylor YMCA, and the Greensboro Chamber of Commerce. Mike Weaver has been and continues to be involved in numerous activities and organizations throughout the community. In 1967, Herman and Mike Weaver founded the Weaver Foundation to support activities and causes that benefit the greater Greensboro area. To date, the Foundation has invested in over 500 organizations that are actively seeking to make positive change in the community.